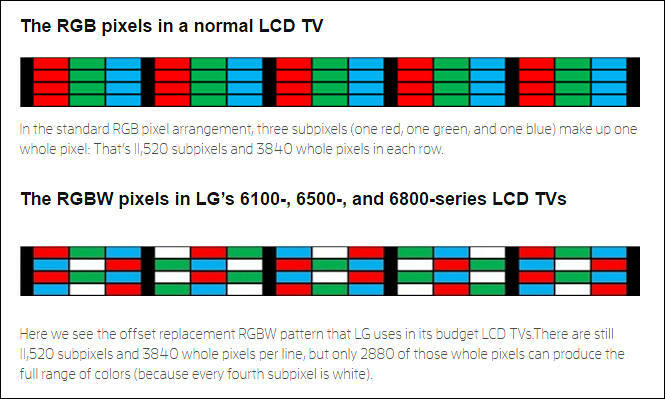 LG takes an unorthodox approach to how it handles the white subpixels in its 6100-, 6500-, and 6800-series TVs. 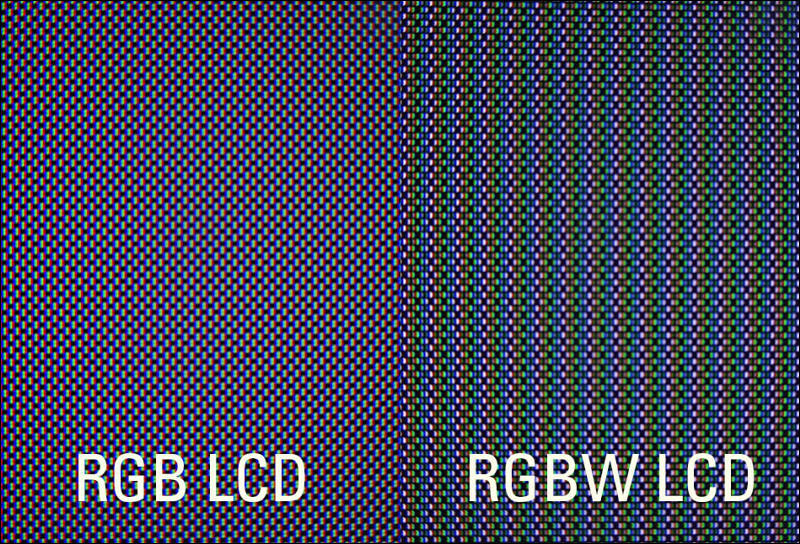 Instead of adding white subpixels to the RGB subpixel arrays, as it does with its OLED models, it replaces every fourth red, green, or blue subpixel with a white one. So three out of every four whole pixels are missing colors.